The global CSP market has achieved remarkable results in the past two years. The emerging solar thermal market represented by China, Morocco and the United Arab Emirates is gradually maturing, which has effectively promoted the cost reduction of CSP, affecting the future development of the solar thermal industry. However, the future development of the CSP industry is facing severe challenges due to factors such as increasing instability and uncertainty, insufficient incentives of policies and insufficient participation of capital, increasing cost pressure from solar PV and wind power, commercialization acceleration of electric energy storage, etc. We are currently at the key historical node of the development of the solar thermal industry and need the participation and close cooperation of the global solar thermal industry chain to meet the challenges. Therefore, the theme of the 2019 China International CSP Station Conference & CSPPLAZA 6th Annual Conference is “Building the Global CSP Community”. Based on this theme, the conference will call on the global CSP industry chain to establish common goals, maintain concerted action and achieve common development! By building a global CSP community, we will work together to stimulate the growth of CSP , promote cost reduction, adapt to the new development of the power market, and release the new potential of solar thermal technology! Focusing on this theme, this conference will initially set up a main forum and eight sub-forums, inviting more than 60 professional speakers and gathering more than 800 guests at home and abroad to systematically, in-depth and comprehensively explore the hot topics related to the development of the CSP industry. The 2017 China International CSP conference in Hangzhou has 1,028 participants, setting an industry record and becoming the first CSP conference with more than thousand participants. On this basis, the 2019 Conference will ensure the scale of 800 participants and strive to break through the scale of thousand participants. The conference will be open to the global CSP market, and invite people from home and abroad to come to Suzhou for a grand event. It is expected that there will be 150 overseas guests. The content of the conference will cover the hot topics of the global CSP industry, mainly involving the market and technology. 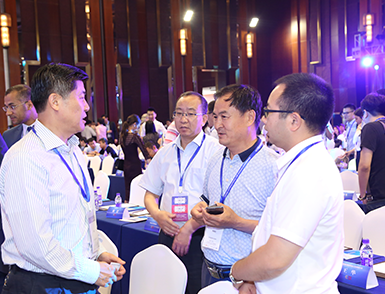 The conference will refine the design of the theme from multiple perspectives, and set up main forum and sub-forums to systematically, in-depth and comprehensively explore the hot topics related to the development of the CSP industry. Conference Quality is highly valued by CSPPLAZA. We have never held sponsored reports and refuses such requests all the time. CSPPLAZA will evaluate all the reports according to its content, speaker’s qualifications and fitness for the subject. The goal of making reports is to genuinely benefit audiences. speakers pay no extra money except for admission fee. On the basis of 67 exhibitors in 2017 and 66 exhibitors in 2018,2019 China International CSP Conference will strive to achieve the scale of 70 exhibitors, and fully display the state of the art products and technologies at home and abroad to promote in-depth exchanges and cooperation between supply and demand sides. The conference will release the CSPPLAZA AWARDS 2019 CSP Industry Annual Awards to set the industry benchmark and promote the spirit of the leader! After submitting the registration information, your mailbox will automatically collect the latest information of this conference. Please check it immediately. If you have not received it, please contact us.